Say hello to a refreshing twist on healthy hydration! Introducing an easy and exciting way to get in those 8 cups of water per day! You already know the importance of proper hydration, but sometimes you crave a more flavorful, low-calorie way to quench your thirst. Fruit-infused water to the refreshing rescue! 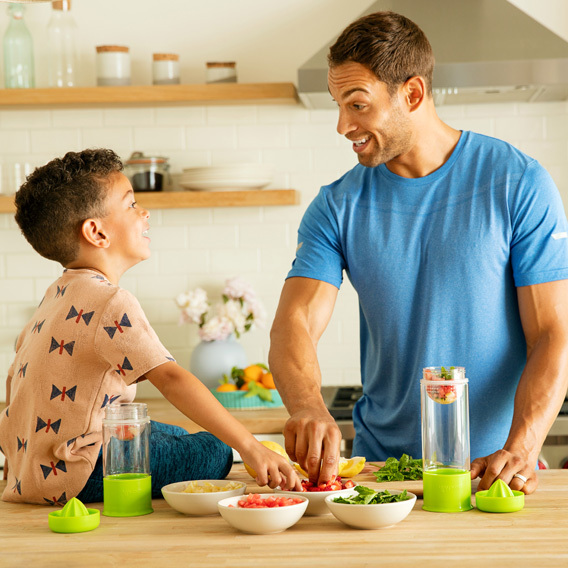 The Miracle® 360° Fruit Infuser Cup gives H2O a punch of natural flavor without added sugar and helps you get your water in at the same time. The innovative design subtly flavors water with fruit thanks to the built-in juicer at the bottom of the cup. Fruit stays contained in the bottom basket and infuses water with flavor no matter the water level. The spoutless, spill-proof cup design allows you to drink from any part of the rim with ease, which comes in handy during workouts. Minimal parts mean hassle-free cleaning, too. It's finally time to hit those water goals with ease!